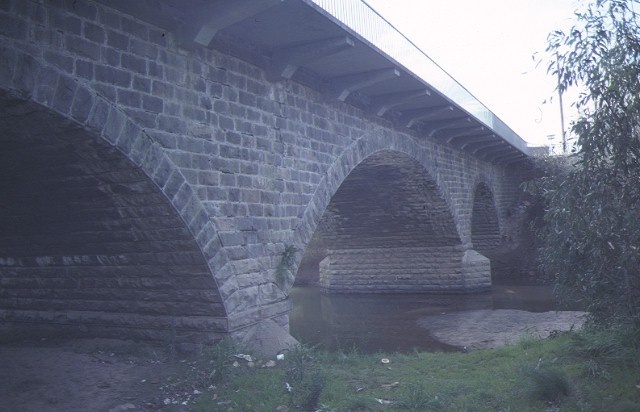 The Barwon River Bridge at Winchelsea was erected in 1867 for the Council of the Shire of Winchelsea, replacing an earlier timber structure of 1849. The three span arch structure was built of bluestone by James Sinclair at a cost of £4,602 and officially opened by Prince Alfred, Duke of Edinburgh, on 3rd December 1867. 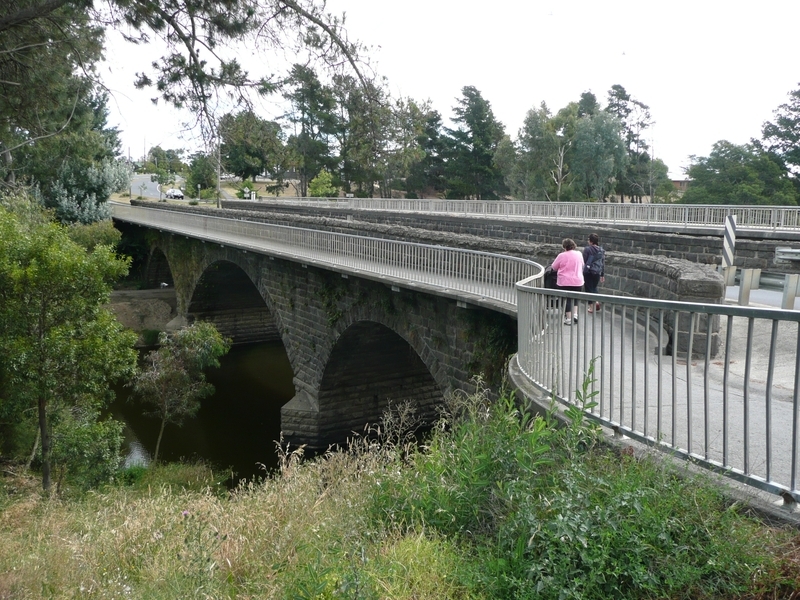 The Barwon River Bridge is the third structure erected at this historic crossing place and has since 1867 provided an important link with Geelong and the Western District. 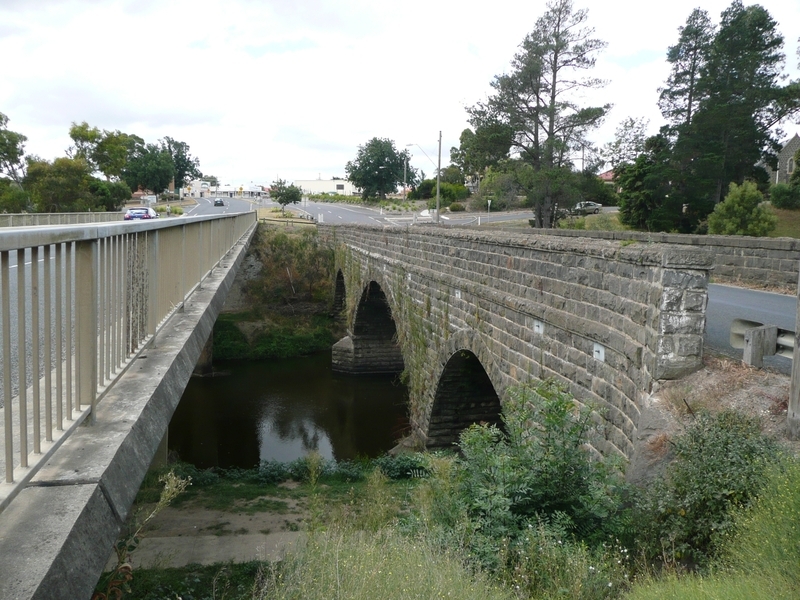 This finely proportioned masonry arch bridge, one of the most impressive stone structures in Victoria, has a notable association with Prince Alfred, Duke of Edinburgh, the three times royal visitor to nearby 'Barwon Park' mansion. The Barwon River Bridge is no longer used for vehicular traffic having been replaced by a modern concretebridge. 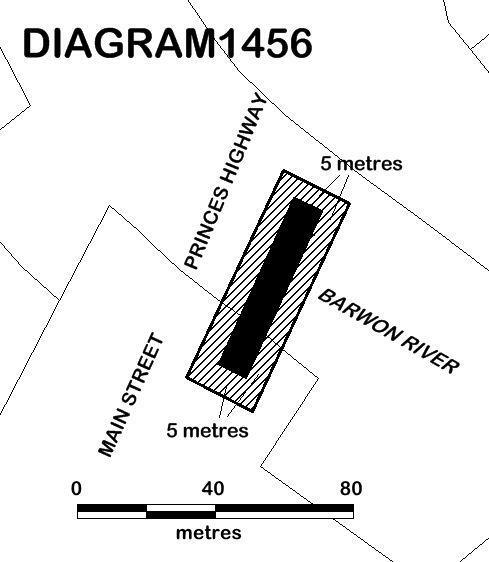 All of the place shown hatched on Diagram 1456 encompassing part of Crown Allotment 2002, Township of Winchelsea, and part of the road reserve for Main Street (Princes Highway) being a curtilage of 5 metres from the bridge.
. The process of gardening, including mowing, hedge clipping, disease and weed control, and maintenance to care for existing plants.
. Pruning, lopping or removal of trees and vegetation.
. Planting of trees and vegetation.
. Emergency and safety works to secure the site and prevent damage and injury to property and the public. Urgent or emergency site works are to be undertaken by an appropriately qualified specialist such as a structural engineer, or other heritage professional.
. Emergency stabilisation (including propping) necessary to secure safety where a site feature has been irreparably damaged or destabilised and represents a safety risk.
. The erection of temporary security fencing, scaffolding, hoardings or surveillance systems to prevent unauthorised access or secure public safety which will not adversely affect significant fabric of the place.
. Inspection, repair and maintenance of all structural elements, including bridge abutments and piers, by the Managing Authority in a manner that does not have a negative impact on the cultural heritage significance of the place.
. Inspection, repair, operation and maintenance of the road and public transport infrastructure, and pathways beneath the bridge, in a manner that does not have a negative impact on the cultural heritage significance of the place.
. Inspection, repair and maintenance of fixtures, including handrails, chairs, drainage, lighting and signage, in a manner that does not have a negative impact on the cultural heritage significance of the place.
. Inspection, repair, operation and maintenance of services, including electricity, lighting, telecommunications, drainage, sewerage and water in a manner that does not have a negative impact on the cultural heritage significance of the place.
. Temporary works that do not affect the cultural heritage significance of the place, such as the placement of traffic management signage, in a manner that does not have a negative impact on the cultural heritage significance of the place.